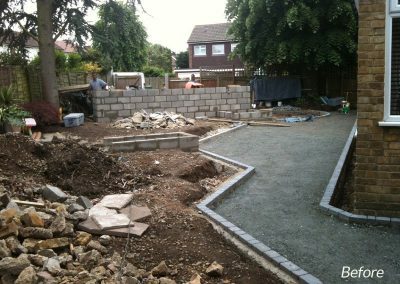 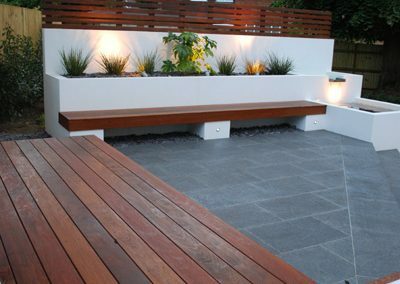 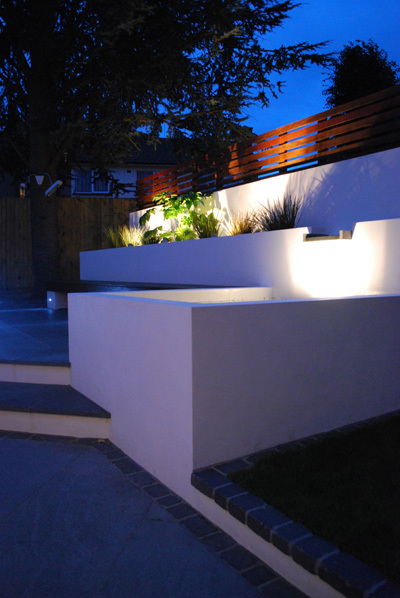 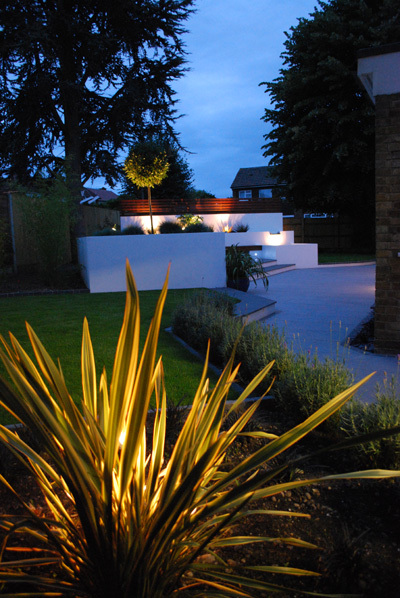 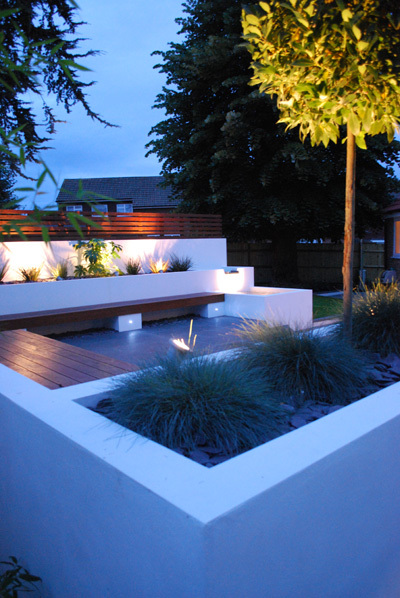 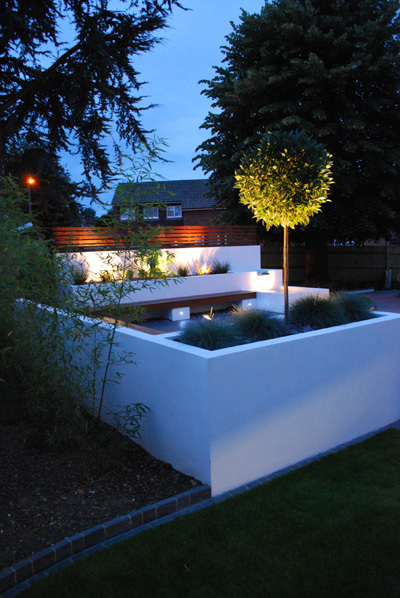 My brief for this project was to create a modern entertaining area balanced within low maintenance surroundings. 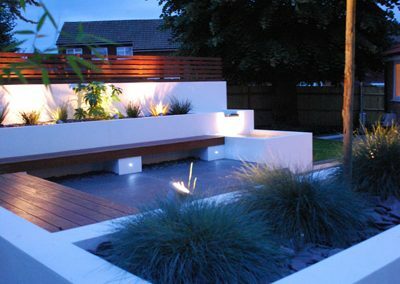 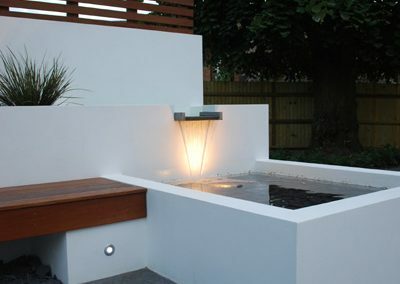 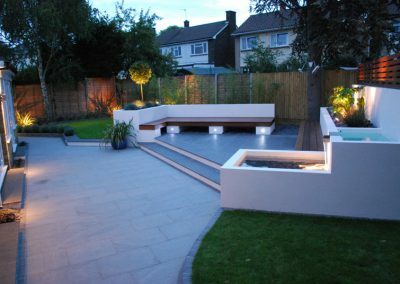 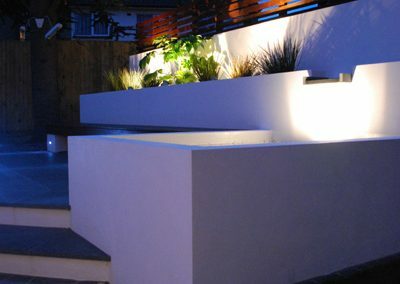 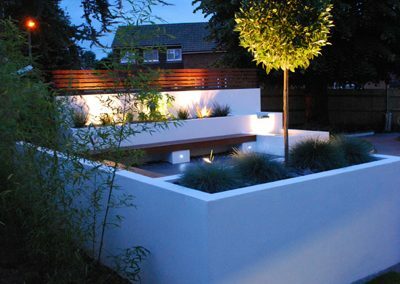 The wish list included such items as integral seating, water feature and mood lighting throughout. 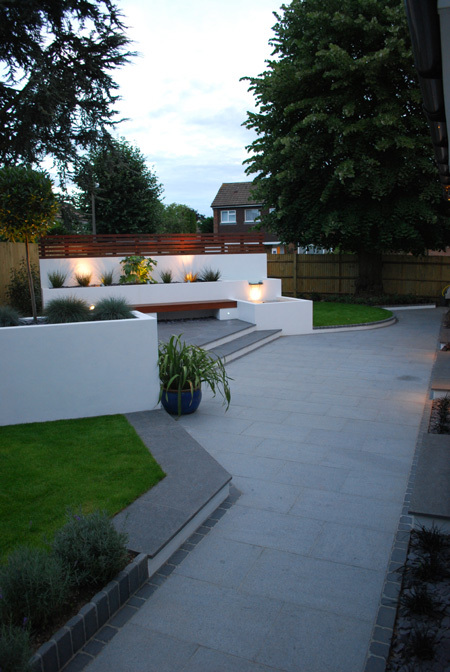 The clients were also keen to incorporate a proportion of lawn within the design, which would enable their daughter to have soft ground to play on. 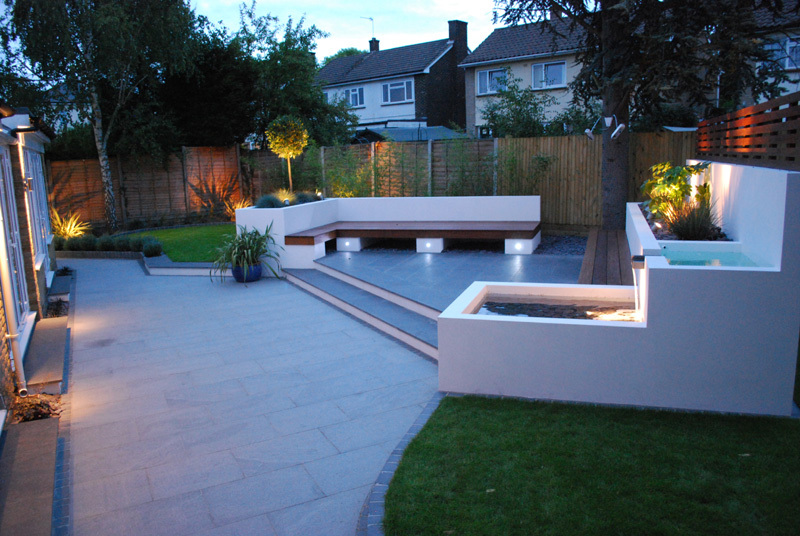 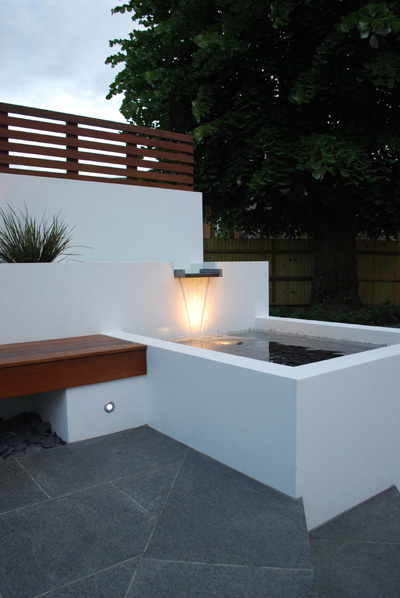 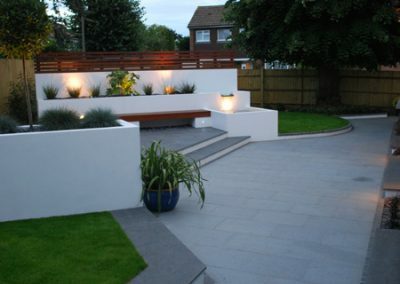 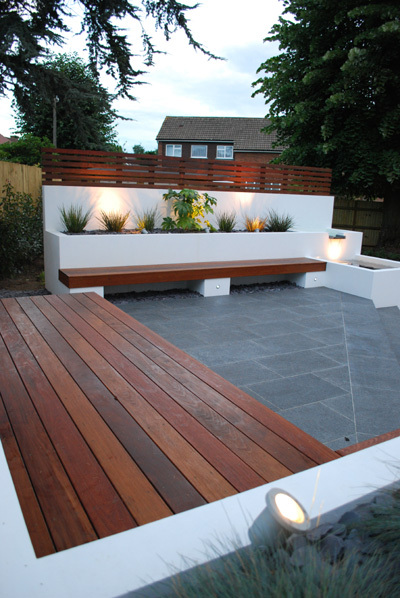 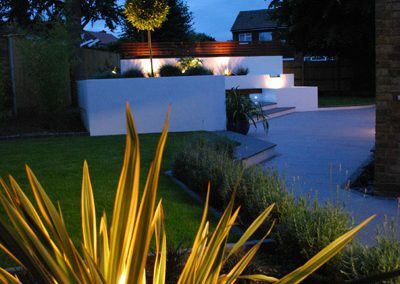 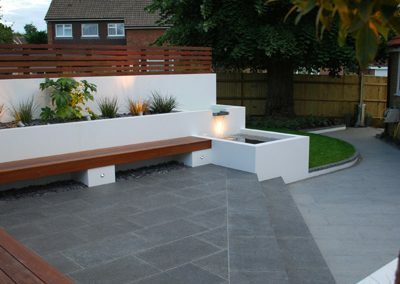 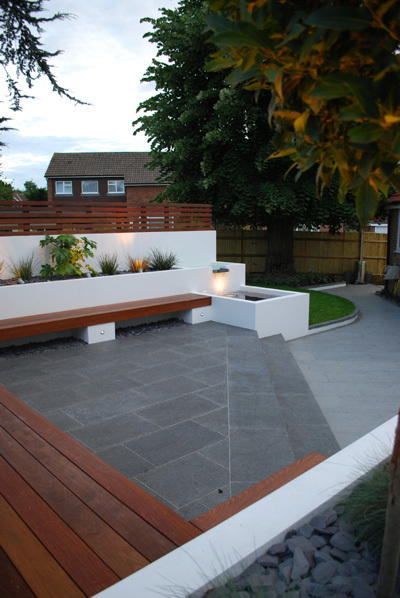 The original garden was on a slope, therefore it made sense to design the new areas on split levels which also created further visual interest throughout the scheme.